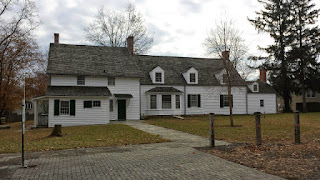 I had the opportunity to visit the Abraham Staats House in South Bound Brook in December 2014 while visiting other American Revolution related sites in the area. 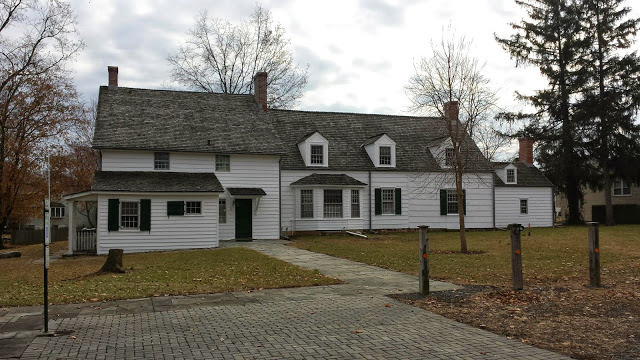 The Abraham Staats House is another home that is associated with the Continental Army's encampment at Middlebrook from 1778-1779. 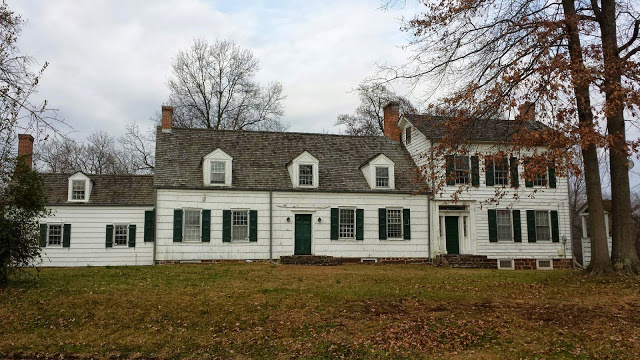 This home is known for being the quarters of one of my favorite figures in American Revolution history, the Baron Friedrich Wilhelm von Steuben. Von Steuben is best remembered as being the Inspector General of the Continental Army who created a model to drill and discipline the Continental Army. This model helped the Continental Army to improve as a fighting force and defeat the British in the war. If you are interested in learning more about the Baron Von Steuben, I recommend checking out the book, The Drillmaster of Valley Forge: The Baron de Steuben and the Making of the American Army by Paul Lockhart. The Abraham Staats House like many other period homes sits in a residential area that consists of mostly modern homes. This blending of historic homes and modern homes is one of my favorite things to see while I am out and about exploring historic sites. If you are ever in the area, I highly recommend a visit to this wonderfully preserved home! "The settlements in Southern Somerset County were some of the earliest in the State of New Jersey. The name Bound Brook appears in deeds and documents as early as 1660. 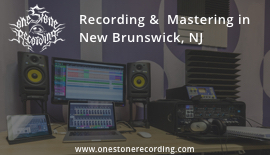 In 1681, John Inian purchased "1,280 acres of land ... on the southern banks of the Raritan River ... extending from Bound Brook to Lawrence Brook and included one-third of present day Franklin Township", according to the Borough of South Bound Brook. Sometime between 1681 and 1686, most of John Inian's land was purchased by William Dockwra. That included most of the area which is currently South Bound Brook. Dockwra subdivided his land into rectangular plantations, each with valuable river frontage. By the early 1700's, all of the plantations had been sold to settlers. There is some uncertainty as to when Abraham Staats acquired his plantation. According to a HABS analysis based on a family manuscript written by Elizabeth Wyckoff, a descendent of Abraham Staats, Dockwra sold some of his land to Garret Beekman and Leffort Peterson. In 1722 , Beekman left half the property, 305 acres, to his daughter Cornelia Van Dam. Van Dam then sold the land in 1738 to Peter Staats. The land then passed by consignment to Hendrick Staats. Hendrick Staats in turn gave the property to his brother, John, in 1769. The property was either given or sold to Abraham Staats in 1770, but the exact amount of the acreage he acquired is unknown. 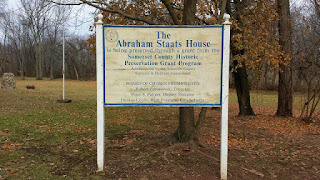 Abraham Staats was born in Hillsborough Township on May 25, 1743. He married Margaret DuBois on November 8, 1770. At the time of the Middlebrook encampment in 1778, the Staats had six children: one boy, Isaac and five girls, Margaret, Mary, Sarah, Phebe, and Jane. Besides farming, Staats was a surveyor, and taught surveying, navigating , and mathematics. He was an active patriot and was very involved in the revolutionary efforts. 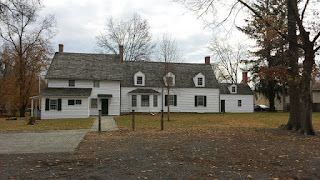 When the British occupied New Brunswick, Staats and his wife hid valuables in the floor of his barn. Staats was considered to be an arch traitor by the British. He was denied the general amnesty offered to other rebels by the British who threatened to hang him on sight. Why Staats deserved the status of "arch traitor" is not known, but local legend suggests that Staats was involved in a spy network. The Staats plantation was a important location during the second Middlebrook encampment. In March of 1779, the inspector general of the Revolutionary army, Baron Von Steuben, was quartered there until the Continental Army moved on in June. During his stay, Von Steuben occupied the north and south parlors of the house, while the rest of his staff was quartered in a marquee which was located in the orchard behind the house. He often entertained important dignitaries, like George Washington and the other senior generals. Von Steuben came to the Middlebrook encampment for the purpose of training the eight-to-ten thousand men that made up the bulk of the Continental Army. In May, Von Steuben conducted a ceremonial review of the troops in honor of Washington and the French minister, M. Girard. There were eight regiments with sixteen guns present. After the ceremony, a reception was held in Staats House orchard for the visiting French minister. After the Revolution, the Staats settled back into their normal lives. In 1792, Abraham Staats became the tax collector for Somerset County, a position he held until 1820, shortly before his death in 1821. His daughter Sarah married William Bayles and had one child, Margaret Ann. In his will, Staats left half of his farm, which at that time was one hundred and thirty acres, to his son, and the other half to his five daughters. 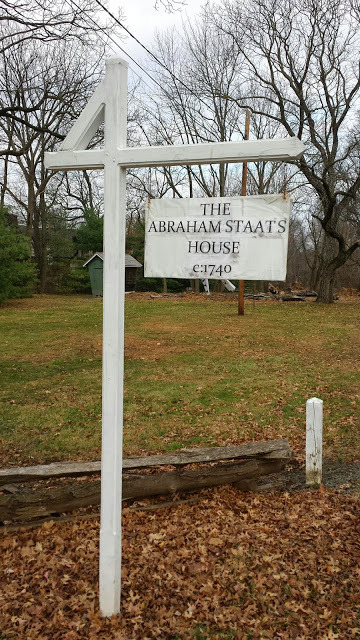 "Bequeath to my son Isaac Staats the one half of my farm and plantation ... Provided that my daughters that may be single at the time shall occupy (the farm) for their use only. One half of my dwelling house and garden. One third of my other buildings. One third of the fruit of my orchard." What happened to the house in the following years is still uncertain. Isaac Staats remained in the house, presumably with his four sisters, until 1825. After the addition of the east wing, his name is not recorded in the Archives, and he is not mentioned in any of his sisters wills. According to the Staats Genealogy, Issac's share of the farm was bought by his sisters, and Isaac moved to West Virginia where he founded the West Virginia branch of the Staats family. However, in the Staats Genealogy regarding West Virginia, Isaac's name is listed as Abraham. The rest of the information in the Staats Genealogy regarding Isaac is consistent with other documents. After 1825, certain parts of the farm were sold. 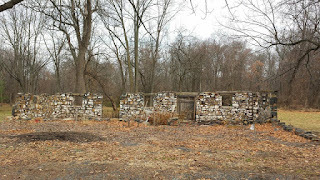 The Delaware and Raritan Canal cut through the property along the river requiring the relocation of some of the outbuildings and a new access road. One tract of land from the from was either sold or given to David Mack, and the "Mack" line became part of the present boundary of the property. All subsequent deeds mention "David Mack's lot." A second tract was sold to R. H. Freeman, who may have been related to the Staats family. 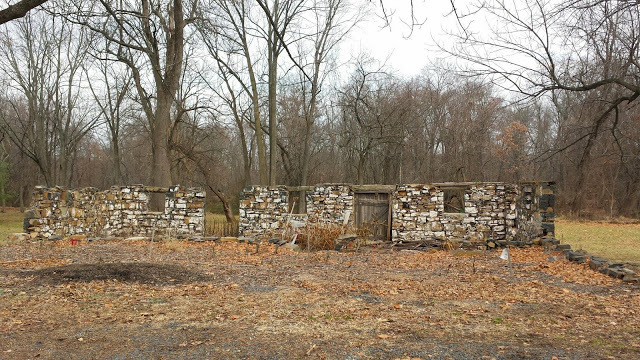 The Somerset saw mill was also located on a portion of the Staats farm; however, the main house remained in the possession of the four sisters. As each of the four sisters died without heirs, each left their share of the real estate to Sarah's daughter Margaret Ann who married Cornelius Wyckoff LaTourette. A 1877 deed transfer between John Van Dike and Margaret Ann LaTourette contains a 1873 map that identifies the Staats House as the "LaTourette house." John Van Dike's relationship with the Staats House is unknown. 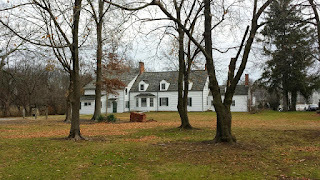 The Staats house is said to have been in continual possession of the Staats heirs until 1935 when Eugene LaTourette sold the house to R.J.Riddell. It is entirely possible the deeds concerning Margaret and John Van Dike involved a mortgage or other parcels of land sold off after 1825.